Bureau Grusenmeyer is an independent graphic design studio founded by Lauren Grusenmeyer. 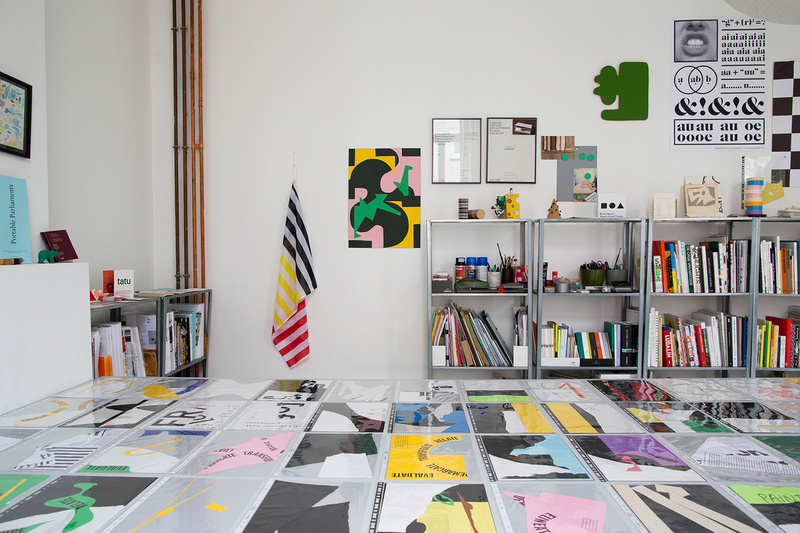 With a strong focus on the development of visual identities Grusenmeyer works in the wider field of graphic design from printed matter, to exhibition design and webdesign. Her work is established in close dialogue with clients and ranges from cultural to commercial commissions. Grusenmeyer received her MA graphic design in 2009 at Sint Lucas Beeldende Kunst Ghent and completed her education with a master degree at the Design Department of Sandberg Institute in Amsterdam. From 2009 to 2015 she founded Cox & Grusenmeyer together with Ines Cox, a collaboration where self-initiated projects such as performances and installations formed the basis alongside commissions for the cultural sector. In 2016 she set up her own studio Bureau Grusenmeyer from which she now operates. Grusenmeyer's work can best be described as playful, inquisitive and diversified with a strong emphasis on typography and conceptual thinking. Aside her work for clients, she always maintains self-initiated projects that steer her work creatively. In addition to her daily practice, Grusenmeyer teaches graphic design at Sint Lucas Antwerp where she is also coordinates the Graphic Design Studio. She also conducts research and is co-founder of the research platform 'De Hybride Ontwerper' (The Hybrid Designer) that maps various design practices and implements them. In addition, she gives lectures internationally, takes part in exhibitions and leads workshops. She has received various scholarships which have allowed her work to flourish, was nominated for the Best Designed Books in the Netherlands and was awarded twice a nomination for the International Exhibition of the Brno Biennale.